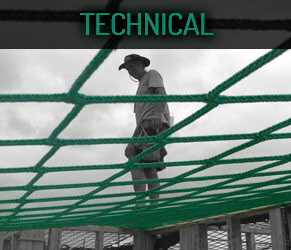 Your 100% New Zealand owned and operated safety netting specialists; supplying all your safety netting requirements – from large commercial and industrial sites to residential home builds, our fall protection systems and nationwide network of local installers provide the solution to your every height-safety concern. Workplace falls are one of the most common causes of injury and even death in the construction industry within New Zealand. 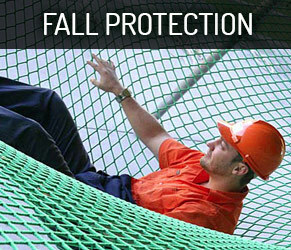 A readily available and easily installed fall arrest system is the one simple solution to creating a safer workplace for your employees. 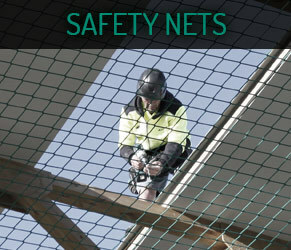 Safety Nets NZ has over 450,000 sq m of nets available for use in different regions across New Zealand – which is the equivalent of over 2000 house lots of nets. Together with our 30 strong nationwide team of fully certified riggers, we assure our clients that we have the infrastructure and resources available to quickly and professionally satisfy all their soft fall protection needs. Writing the Code of Practice and bringing together the industry and WorkSafe NZ. Look no further than Safety Nets NZ, your proven, reliable site height-safety partner; leading the field in safety netting for complete on-site fall protection systems. 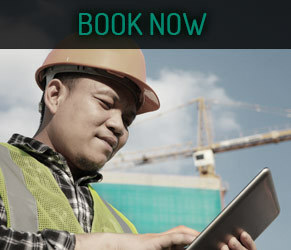 The guys at Safety Nets NZ had our site rigged and Site Safe within a few hours. Our builders do feel a greater level of safety at heights with this solution. We've also found Safety Nets NZ are proficient getting the netting removed once we're enclosed. The team at Safety Nets NZ are passionate about making sure your site is as safe as it can be. Our netting solutions are saving lives and ensuring your workforce are getting home safe. We are dedicated to our industry by driving certification standards and working with WorkSafe NZ to deliver industry-wide protocols to ensure the safe and consistent use of fall through systems. With new bases in the Waikato (Hamilton) and Queenstown regions with local installers we will be able to satisfy your specific requirements including installation and removal of your nets. Safety Nets NZ are seeking suitably motivated people to join us at the countries leading provider of fall arrest safety net systems.If you are either an experienced, qualified installer, or just someone who is keen, willing to learn and looking for a new challenge, you could be the person we are looking for.